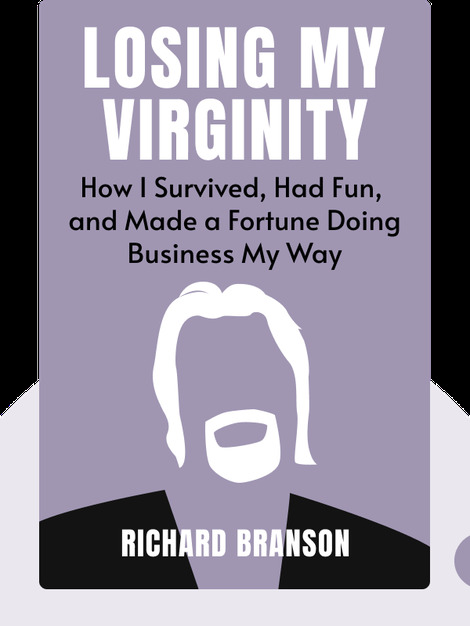 Losing My Virginity is the internationally best-selling autobiography of self-made businessman Richard Branson. He details his lucrative adventures, beginning with dropping out of school, founding a record label and crossing the Atlantic ocean on a speedboat. In essence, the book is about how cleverness, determination and an adventurous mindset played a role in the making of one of the richest men on earth. Richard Branson is a self-made billionaire and the founder and CEO of the Virgin Group, one of the most successful business groups of the twentieth century. On the path of his massive success, Branson founded and edited a magazine, created a record store chain, record label, and recording studio, founded an airline and even wrote a book.